This two-part article is an attempt to explore the Tarot. The first installment, ‘Introducing the Tarot: a psychological perspective’ should have given the reader some idea of the depth from which the tarot can be approached, of issues raised by its practice, and of how it can be used as a valuable aid to self-development. Here, the second part presents feedback from two clients, one female – Anya – and one male – Marc. 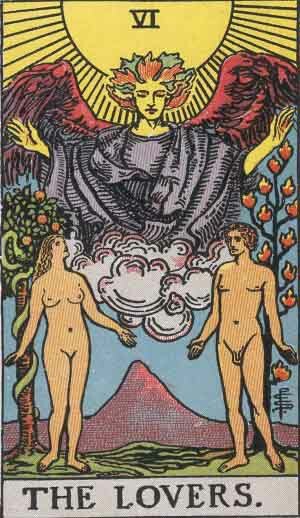 They were chosen for the way in which they brought together, in their respective accounts, elements of most people’s responses to the tarot creatively and responsibly used. I was also interested to show how Marc wove his experiences of very different symbol systems ie tarot, astrology and the I Ching as well as more conventional psychotherapy, into his long struggle to arrive at a place of reasonable balance in his life again. In preparing this article I asked for, and received, very helpful feedback from various clients. I could have used short extracts from all their contributions, but in the end chose this longer, thoughtful piece from Anya, a female client in her late thirties. ‘……This felt like an extremely powerful experience and I could hardly believe the cards which were turned up. A number of the cards made a direct impact on me as I realised their significance. Some of the other cards were more difficult to connect with at the time, but have since shown their relevance. All in all, it was an extremely affirming experience and offered me the support I so badly needed at the time – gave me something positive to hold onto. Meaning continues to unfold as time has progressed, and I feel (six months on) that I am shifting into another phase, having embraced each of the cards’ messages in turn. This experience has underlined for me a sense of being part of something much larger and greater than myself. This is awesome! I take faith from this. I found the pictures on the cards most evocative and enjoyed looking around ‘within’ the pictures. The experience remains with me as an affirmation of my life over the last six months. In many ways I can see that I am at the place of ‘final outcome’ in the reading, certainly having lived through and faced that which I most needed and feared. Well, as you know, only a catastrophe got me there! My previous, very rational, world view having collapsed in some considerable disarray, I had a desperate need for some other source of ‘meaning’ in my life – or rather, some other ‘meaningful’ way of understanding myself and what had been happening to me. I don’t think I was too interested in prediction, only in gaining insight. As you know, I graduated to the tarot reading from several astrology readings and from participation in your astrology classes. Astrology was powerfully attractive for me – after I had crossed the Rubicon of ‘letting go’ of my previous contempt – because within its own terms it is in fact another vast rational system of understanding the universe. What I mean is, even if you think the whole thing is nonsense, it is nevertheless internally consistent, rational nonsense. Hence it rapidly became acceptable to me. Moving on to the tarot was perhaps my way of travelling further down the road away from rationality, just to see what it was like. By April last year, my worst times were over and I was feeling the green shoots of recovery – much like Norman Lamont! (note: the then UK chancellor of the exchequer). Psychologically, I think I had come to terms with what had happened to me and was beginning to look to the future. I had sent the divorce papers to my estranged wife, but she hadn’t yet returned them, and I was experiencing pangs of doubt about what I really wanted. Before, with astrology, I was looking for insight; now, with the tarot, I was looking for a method of choosing – but one that was different from what I had done before, one that involved some kind of surrender on my part. That’s not clear. What I mean is – all my therapy with you brought home to me how much energy I have always devoted to creating a picture of reality inside which I then lived. But it turned out that my reality wasn’t reality after all. By relying so heavily on my rational powers, I had created a faulty picture of how things really were. 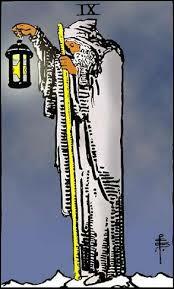 Tarot seemed appealing because it involved allowing the universe to show you what reality was. If you made an initial commitment to the ritual, surrendered control, the turn of the cards would show you where you stood. I see the I Ching in essentially the same light, and the notion has a ‘thrilling’ aspect to it precisely because I have been so controlled in my life so far. What was the experience of the reading like? Given that I was dipping my toe in previously uncharted waters, it felt slightly unreal. I couldn’t ‘believe’ in the tarot as easily as I could in the more ‘systematic’ or ‘rational’ astrology whose terms of reference, unlike the tarot, arise from physical bodies we can actually see in the night sky. But it was thrilling. I would have to say that I hadn’t fully committed myself to the outcome, but I was much more open to what was going to happen than I could ever have been in my life before. It was an experiment. It was a valuable experience – it helped me to work out my real feelings about my ongoing divorce and about career choices. But it was the talking stimulated by the cards that did that – they were a mechanism for releasing talk and thus feelings. My experimentation with both the tarot and astrology has led me to an appreciation that many aspects of our lives are ‘fated’ – but that does not obliterate free will or personal responsibility. On the contrary, it seems that everyone has the responsibility of understanding the purpose of his or her individual life – which will depend on his or her inheritance at the start – and has the freedom to choose to make the effort of understanding, then the freedom to do something with the knowledge – or not. My response to the pictorial images on the cards? You know, for a Presbyterian Scot, I’ve decided I could go in a surprisingly big way for all kinds of pictorial religious symbolism! The allure of forbidden territory? I got the same reaction recently at the temple at Samye Ling (a Tibetan Buddhist monastery in the Scottish Borders). My senses were drenched in gold, red, blue, green and in accompanying sounds and smells! Seriously – perhaps a slightly infantile thrill at ‘surrendering’ my destiny to pretty painted pictures with supposedly magical powers. I am intrigued with the idea of ‘drawing lots’ either via the tarot or the I Ching, and I think it’s something I’ll probably do again. The idea of choosing by some kind of ‘drawing lots’ ritual is powerfully attractive to me because, if done with full commitment, it could of course represent the placing of trust in something outside myself. But it remains an aspiration, not an accomplishment. My tarot reading suggested that I needed to consolidate choices I had already made in my heart, and move on to new commitments on the basis of the wisdom I had achieved through experience. I did in fact go ahead with my divorce, not without further emotional upset, and have in fact consolidated my relationship with my girlfriend. My energy level has improved greatly, as predicted, though not without ups and downs. Tarot cards, in the richness and variety of their images and symbols, have exerted a fascination over the human mind and imagination for hundreds of years. Just as the origins of the tarot itself are shadowy and mysterious, so participating in a tarot reading can transport both the reader and client to a level of experience which defies the linear world of the rational mind, yet holds it own validity and wisdom. People regard tarot cards with feelings ranging from the wary and fearful, to the gullible and accepting, to the angry and dismissive – they are rarely indifferent. A reading, done well, can let us see how our personal journey brings together aspects of the ever-repeating pattern of life, as represented by the seventy-eight cards. This awareness of connection to the timeless human struggle can bring dignity and meaning to our individual experience, especially in times of difficulty and turmoil. This two-part article is an attempt to explore the Tarot. The first part should give the reader some idea of the depth from which the tarot can be approached, of issues raised by its practice, and of how it can be used as a valuable aid to self-development. The second part presents feedback from two clients, one female and one male. They were chosen for the way in which they brought together, in their respective accounts, elements of most people’s experiences of the tarot creatively and responsibly used. How, then, should one use the tarot as a reader, or approach it as a client? My overall experience has led me to a holistic perspective. From this standpoint everything in existence – material and spiritual, microcosm and macrocosm, inner and outer – is seen as connected with everything else. Time itself is seen not in terms of separate measurements of days, hours, and minutes, but in terms of unity : thus a moment possesses its own meaning, carrying particular clues regarding its relationship to past, present and future. This view of time is best expressed via Jung’s concept of synchronicity which conveys the idea that each moment in time possesses unique characteristics expressed on all levels at once. In applying this concept of time to consulting the tarot, the Greek notion of ‘kairos’ – the right moment – is highly relevant. 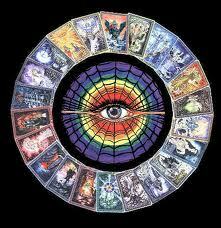 In order to have a meaningful encounter with the tarot several core conditions need to be present. Firstly, the client should have a strong desire to clarify whatever is the issue of the moment. Secondly, the reader should be open and receptive to the client’s need. 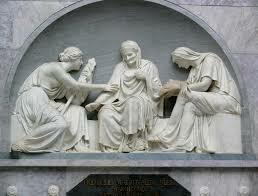 And thirdly, they should both respect the medium, ie the tarot cards, which they are about to consult. This being the case, the cards are chosen and laid out at a particular moment in time. What happens? It is impossible to know fully – and mystery is part of the potency of the experience. But you could look at it this way: a biologist cuts a section through a piece of tissue, lays it flat on a slide, uses staining material to bring up the features, then puts it under a microscope bringing the section into clear focus. If s/he is skilled, a detailed picture of the organism from which the section was taken can be built up. This analogy can be applied to the moment the tarot cards are chosen, laid out in all their glowing colours in a particular order or spread, then interpreted by the joint efforts of reader and client. This section cut through time, the moment of choosing, in some mysterious way seems to reflect the current life of the client. It also carries, in symbolic form, information regarding how s/he came to be in this situation, and some ideas regarding possible courses of action and future outcomes. Nobody knows what the balance is between fate and free will. Observation and experience of the flow of life at an inner and outer, personal and collective level eventually leads most of us to form an opinion of this profound topic. Just as there seems to be a connection between who we are and the kind of life we have, so it may be that fate and free will, past, present and future are all part of the same weave – and cannot be separated. I think that free will rests in our ability to use self-awareness, slowly and gradually developed as fully as possible, in working with the grain of our own lives. It may be our destiny to face certain unalterable circumstances; but the level of awareness we bring to the challenge profoundly affects the level on which we are able to live with the outcome. Tarot cards should not be seen as implying a fixed and fated future; in my opinion this approach is crippling to a person’s ability to lead their life creatively, restricting any sense of their own free will. Perspective on this point can be gained by considering the parallels between the modern physicist’s view of probability, and that presented by the symbolic pictures on the faces of the tarot cards. Briefly, the physicist observes the shifting dance of waves and particles and is only able to suggest future outcomes in terms of statistical probability. The tarot reader can observe and describe core energies, in their symbolic form, at work in past present and future – but can only speculate regarding the range of possibilities which flow from each core. Modern physics has also demonstrated that the presence of the observer influences, however subtly, the outcome of the experiment. By giving definite predictions in a tarot reading, it is highly possible that the reader’s intervention –in some hidden but powerful way – predisposes the client’s life in the direction of the reader’s suggestion. 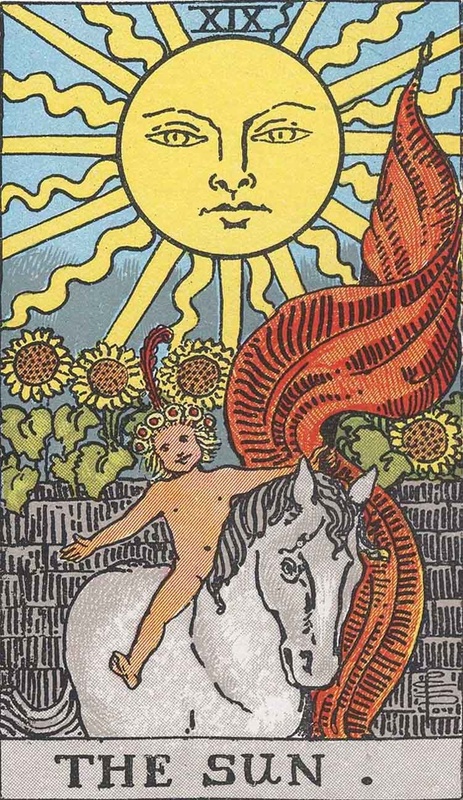 The pictorial symbols of the tarot provide a creative framework within which a person can contemplate their life’s meaning and direction, and gain guidance. But the reader, in being approached for his/her skills, is stepping into the counselling role, whether prepared to acknowledge this fact or not. The essence of good counselling lies in being able to create a safe and supportive environment in which another person can lay out their hopes and fears, clarifying where they were, are and hope to be – and where the counsellor can help their client to see what the inner meaning and creative potential may be in even the most difficult situations, whilst encouraging her/him to take full responsibility for choices made. All counsellors have a responsibility to use wisely the power they take on by virtue of their role. This means being prepared to subject their own lives to honest scrutiny via training and/or undertaking their own therapeutic journey. Those who take on arole of power without being prepared either to acknowledge that fact, or examine their own motives, are likely to be a danger to the vulnerable people who seek their help. This point applies especially to those of us who work within the context of the great arts of tarot reading, astrology or the other symbol systems such as the I Ching or palmistry; these are powerful tools, carrying both healing and destructive aspects. Our job is to empower our clients, not to glorify ourselves, and to help them develop creative solutions to their own challenges, not to become dependent on us.